Best Car Hire brings you cheap car rental with leading car rental companies such as Hertz, Sixt, Alamo, National, Thrifty, Budget and Europcar including many specialist local companies to meet your car hire needs. We now have over 30,000 locations to choose from in 174 countries from over 800 car rental agents. Hire a car in the UK, Spain, France, Italy, Portugal, Greece, Florida, USA, Canada and Caribbean plus many more throughout Europe, America, Asia, Australia and New Zealand. If you're planning a holiday or a short city break you will want to make sure you get a great deal on your car rental. To check the latest car hire prices and to make a reservation enter your details for current rates and availability. 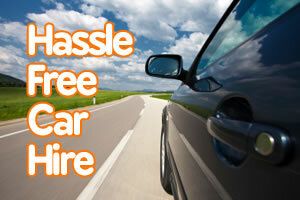 Select the best car hire deal that suits you and then book your hire car today.